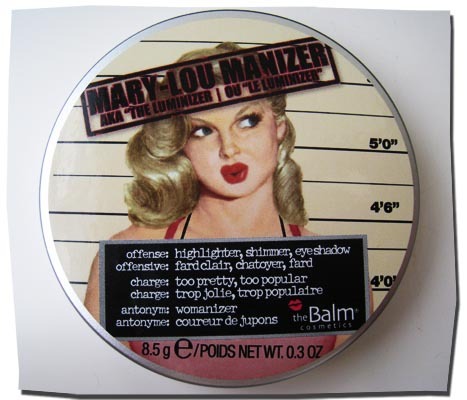 As part of the post 'What I'm Coveting for Summer', I mentioned that TheBalm's Mary-Lou Manizer is delivers killer dewy shimmer. I've just started using mine, and I wanted to share my opinion on the product with you. First of all, like all the other reviewers out there, I have to comment on the cute packaging! The compact itself is also really sturdy; it looks like you could drop it again and again and it wouldn't even chip! The mirror comes in handy too, and you don't see many products with compact mirrors these days. The powder itself is really densely packed, just one swipe will give you a really pigmented, brilliant shimmer. 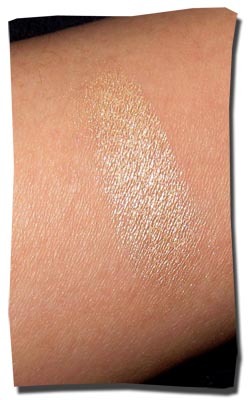 It's a golden-pearl colour - which I didn't expect at all, because it looks more white in the compact. I think it's a great colour, because when the camera flash hits your face, the pearly colour doesn't wash out. 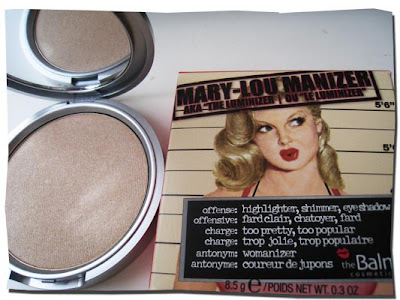 Below are a couple of swatches of the Mary-Lou Manizer - under natural light and with camera flash. It looks much brighter in person, but these are just so you get the general idea about colour and how it photographs. I'll post some pictures of it on my face once I get around to dolling up and going out! You have to be pretty careful when using this product, because it delivers such strong shimmer with just one swipe. If you're using a brush, just swirl once, and tap off the excess. If you're using your finger, be sure to use a light touch. 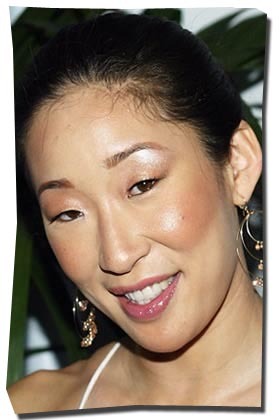 This luminizer is great for creating a look like Sandra Oh's above. 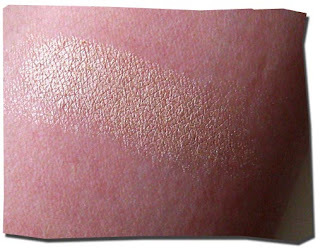 Just swipe the tops of your cheekbones, your brow bone (right underneath your eyebrow), the inner corners of your eyes, and on the bridge of your nose for a great, healthy, dewy shimmer. Also great when you're using a luminizer, dab a little on your cupid's bow (the middle of your top lip) to create the illusion of more supple lips.